We wanted to add some sparkle to our wedding day so was so happy to see Matt at Wedding Venue Lighting had a fairy lit wedding arch and a star lit dance floor. It was everything we were looking for. So we made contact and the smooth and easy process ran from there to the wedding. Matt was helpful and quick to reply to emails. I couldn’t recommend Wedding Venue Lighting services highly enough. Thank you for adding the sparkle to our wedding. Matt was helpful from first contact to the big day itself! The wedding venue lighting company were fantastic. The fairy light curtain looked beautiful and rustic LOVE letters were great, both really adding to the ambience of our venue. They were great to work with and we would highly recommend them to anyone! Absolutely fantastic service. Matt and his team were professional, friendly and very easy to work with. The venue looked brilliant, and so many of our guests told us how beautiful it looked. This service was first class, and very reasonably priced. the lighting really made the venue - the fairy light curtain at sandburn hall took my breath away - cannot recommend enough - easy company to deal with and i made A LOT of order changes and nothing was too much hassle! They were truly professional and demonstrated excellent customer service. I am going to recommend all my friends and family to use their service. They made my wedding day truly memorable. Just wanted to say thank you for our backdrop and our custom gobo. Professional efficient service and everything ran smoothly. From our initial discussion of requirements with Matt and the team at Wedding Venue Lighting we felt that they truly understood our needs and they offered us a great range of options to choose from. They liaised with the venue directly which the venue really appreciated and it relieved my family of the worry of organising the deliveries and timings on the actual wedding day. They arrived at the venue as planned and constructed the curtaining and lighting exactly to specification. Made our venue look amazing. Great price, great company. They are very efficient and would use them again tomorrow. Excellent communication throughout the booking, Wedding Venue Lighting took the time to make sure they were going to provide what we wanted. Seemless service they arrived set up and picked up on our wedding day without me or any of my guests noticing. They are experienced in what they do and the cost was competitive. Would recommend to all my family and friends. Absolutely fab!! We got wed Sunday at abbey house in the lakes and booked the flower wall - which everyone was like WOW it was absolutely stunning! & sparkl tacklers and confetti cannons for the first dance which again was the ultimate wow factor the photos look phenomenal thank you so much!! I just wanted to drop you a quick email to thank you and your team for the professional service that we received both preparing for and during our wedding on 2 April 2016 at Mosborough Hall, Sheffield. Both my husband and I were very impressed with the quality of the lighting, both the uplighters and the fairy lights, and how it transformed the room. We were also impressed with the white drapes, which were removed with no interruption to our guests after the ceremony, and the white carpet. The communication from you in the lead-up to the wedding was also excellent and put my mind at ease. We will not hesitate to recommend you to our friends in future. Wedding venue lighting has been great in following instructions and provide great and professional support to our wedding. Matt was absolutely fantastic with bit advice and communication. He was really good with making any changes even at short notice. Highly recommended and a great price. The whole team were so accomadating and professional. We originally booked festoon lighting and large letters but our venue contacted us to say they will provide fairy lighting. When we contacted to the wedding lighting company to say we didn’t need the festoon they were really helpful letting us select another option making our day sparkle even more. The large letters were the better than another’s I’ve seen at wedding fairs and surpassed our expectations. Really helpful throughout the whole booking process and flexible when it came to timing and payment. We asked them to come in a day early when we were setting up so it was all ready for the say and they obliged. The overall finish was fantastic and really made a difference to others venue. A little note to say a hugh thankyou for organising and arranging our bespoke gobo projection for our wedding on 16 September. It was amazing and is something we have as as a keep sake forever. Absolutely fabulous. So easy to deal with and made it so easy to communicate with. They actually suggested they do 2 trips and drop some lights off for me during he day and come back to do the dance floor at night. We were really impressed with the entire service we received, from enquiry to clear down. The lighting was amazing and made literally made the venue, it was exactly what we were looking for. I have to say I was most impressed by the team on the day. The guys were lovely, they cracked on with putting up the lights and got them up in no time at all. They were really friendly and didn’t ask for anything at all. One second we were saying hi and the next the lights were up! very impressed! From the off Wedding Venue Lighting were approachable and helpful. All correspondence was received in good time. They were consistently helpful and the dance floor we ordered looked amazing!! The supplier was flexible and willing to make amends to the order and pricing when I changed my mind. They also sent me a confirmation a week before the wedding which put me at ease and an email afterwards to say congratulations. Just wanted to say thank u for the festoon lighting! It looked amazing!!! They were very easy to contact, always replied to emails promptly. Very helpful when choosing colours and lighting, and their expertise showed. I would recommend them to friends and family. Matt and his team were absolutely fantastic. The service they provided was amazing, the quality of the dance floor, star light curtain, fame effects and up lighters were top class. We couldn’t recommend you any more and would definitely use again. The communication throughout our planning was also faultless. We used Wedding Venue Lighting to help decorate Millennium Gallery for our wedding ceremony and reception. The hanging lanterns they offer were available in a extensive range of colours that enabled us to pick a combination that would suit our colour scheme and bring the white space if the gallery to life. We were so pleased with the lighting supplied and the effect it created in our venue - we had numerous compliments about this. Communication from them was excellent - highly recommended! Just a quick email to say thank you so much for the excellent job you did with the lighting for our wedding yesterday. It was exactly what we wanted and looking brilliant. WVL we're easy to deal with, they responded to my enquiries quickly each time, providing up to date cost estimates. They dealt with the venue without me having to chase them up and I never even noticed them coming or going. They followed up with an email quickly. I would definitely recommend them. Professional, approachable, and would definitely recommend!! Absolutely fantastic company, product were top quality and better than item images could display, nothing but compliments on how good the venue looked, even the staff at venue said it was the best they’d ever seen. Blown away with just how excellent and seem less to service was, nothing was too much trouble for them. Just a note to thank you so much for loaning the lighting for our charity event yesterday. They really were the ‘business’ and we very much appreciate you loaning them to us. You might be interested to know that we raised a total of £5,000 yesterday for research into childhood cancers for Cancer ResearchUK– a staggering amount for a Thursday afternoon and evening in Skipton. Our hotelier friends have taken your card and we shall certainly keep your details to hand. Once again your support is much appreciated. Matt and his team are the most professional company I have dealt with while organising my wedding. His suggestions and advice were spot on! The dance floor and backdrop plus the up lighters in my venue made the room look beyond amazing, every guest said it was the best wedding they have been to and the dance floor was full all night. Matt even came to collect it at 2 am in the morning so the venue could be ready for 8am the next day to start setting up for lunch. Matt and his team where fab. They were very discreet on my wedding and the items they provided just gave our wedding that extra something. All communications along the way made Wedding Venue Lighting a company I would recommend to any bride to be and anyone wanting an amazing party. I will be using them again. Thanks for everything Matt. We felt quite apprehensive about booking the festoon lights as the room hadn’t had them in before and we were unsure if it’d work- the hall looked amazing. The service was great-they came and set the lights up in the morning and took them down early hours the next day after the party finished. The payment process was easy. The lights really added that final touch to our wedding and really helped to create a cosy atmosphere in such a huge room. I would really recommend the festoon lights! Beautiful set up for my wedding. The venue looked stunning and so many positive comments from guests. Friendly staff. They made a hell of a difference to our wedding and Matt and his team were utter professionals throughout. Cannot recommend them highly enough! Fantastic service start to finish. Completely transformed our venue. We booked a dance floor, mirror photo booth and festoon lighting from this provider. The products were all high quality and well set up. The staff that assisted with the mirror photo booth were friendly, helpful and attentive. They were a brilliant supplier. Matt and his team were very professional from start to finish, from the first phone call, e-mail, meeting us to discuss our requirements, even adjusted things to our taste to actually suggest us to delete a few products which saved us some pennies for our honeymoon. Not a lot of businesses want to do that! Our room was absolutely stunning, all our guests were amazed on how good our room looked even the Banqueting team at the hotel were speechless as were our toastmaster (he had seen the room before!) which was funny to witness! It was stunning, things were changed after our wedding breakfast and this was done discreetly and professionally, cannot thank the team enough, they did a marvellous job and I have the memories and photos to prove what an excellent day we both had :-) Winners, thanks guys!! These guys did exactly what we asked and even provided more lights than we had paid for as they had them available and thought it would be nice for us. Delivered exactly on time and installed them with the minimum amount of fuss and then came at 3am to remove them from the venue for a different wedding the next day! Fantastic service all round. Wedding Venue Lighting was incredible. It was a totally stress free booking from start to finish. They took care of everything. Amazing customer service. Our ceremony and reception room looked incredible thanks to this amazing team/company. They are excellent value for money and their products are top quality. Wedding Venue Lighting were extremely efficient. They responded to my initial inquiry quickly and were able to answer a particular query which helped me decide upon the item I wanted for my wedding. They processed my request promptly, contacted me prior to my wedding to reconfirm arrangements and ensured everything was in place at the venue, as promised, at the specified time. A professional service from a professional company. Excellent price and service. Arrived on time and set up quickly and efficiently. The LOVE letters were much admired on the big day and the other lighting options were equally wonderful. The lighting at my wedding was amazing, not only did it add the glitter to my wedding, but the skilfully placing of the lighting created not only a beautiful reflection but also fit perfectly with the theme of the wedding and the DJ's stage lighting. So easy and stress free, they set up and left the next day with no hassle whatsoever, they responded quickly to emails and was so nice to have one part of the day that I didn't need to worry about. The result was brilliant as well, I was worried that with it being New Year's Eve that the room would look too bright with main lights but too dark without, so pretty fairy lights looked absolutely perfect, we were so pleased. It was really easy and hassle free. The lights and lanterns were lovely and we received lots of positive comments about them and how they tied in with our colour theme. Wedding Venue Lighting draped fairy lights across beams and provided a black starlight backdrop cloth for the band at our wedding at Ox Pastures Hall in Scarborough on 7th January 2017. They were very professional, turned up on time and did a great job without any fuss. I highly recommend this company for all your lighting needs. Excellent customer service and value for money. Matt is very friendly and easy to talk to and understood our needs. The lighting was recommended to us by the team at the venue and we were so glad - it made a fantastic space completely magical. Amazing our wedding wouldnt of been the same without this!! Staff and product were amazing would recommend to everyone! They gave us peace of mind for our wedding day and nothing at all was any trouble for them. Communication was fantastic and the lighting that they provided us on our wedding day was unbelievable. Everybody loved it and said how pretty it looked including ourselves. We are so grateful to them. Highly recommended! I already knew what I wanted for the day so there was not much discussion from Wedding Venue Lighting. They did check and confirm things which was good and the room looked amazing once set up and everything was in the right place. Very helpful and friend and easy to talk to and replied in good time to questions and queries. Wedding Venue Lighting were extremely helpful. They responded quickly to any queries I had and made the process very easy. Everything was set up discreetly and the lighting looked amazing. Everything was perfect. Very professional company, felt in good hands the whole time and their product and finish helped to amplify our wedding and take it up those special few notches. The service at Wedding venue lighting was outstanding from start to finish. They were extremely efficient and understood exactly what we wanted. Our dancefloor and outdoor lights on the day were perfect. Thank you all! Wedding Venue Lighting were helpful and professional from start to finish. They did exactly what I asked with regards to the set-up on the day of the Wedding, with no issues. The lighting looked fantastic and was good quality and added to the magic of our Christmas/Winter Wedding!! They are great value for money and have a plethora of items to choose from. We organised our wedding from Canada and it was seamless. The lights looked incredible. Perfect finishing touch on the venue. Thanks! Everything about wedding venue lighting was amazing. The customer service was 100% as was everything else, I am already trying to persuade my new husband to do it all over again so I can order even more things from Wedding Venue Lighting. Everything looked brilliant and absolutely everyone at the venue commented on how easy they were to work with and how gorgeous the whole venue looked once they had finished! I can't thank the team enough, I would recommend to anyone. Absolutely beautiful light display for our special day. We used the Wedding Venue Lighting as it was exactly what we were after. We had planned to buy our own fairy lights and decorate the barn by ourselves as well as add our own Chinese multi-coloured lanterns on it, but we didn’t realise how difficult it would have been to achieve the look we were after without having the tall ladder/equipment. When we saw the lights already installed at a wedding the weekend before ours we had made the decision to use them as it looked fantastic! Thank you for your email, we want to say thank you for the lighting you provided for our day at Dewsbury town hall. It really added that special touch! You were very organised, helpful and efficient so thank you for your professionality! We will definitely be recommending you to friends and family in the future! They provided a superb service, and took the ease out of sorting out venue lighting. The dance floor made our 70's fancy dress party which concluded our wedding weekend! Local company who really looked after us, answered all my questions, let me change details and were on time and efficient, the room looked amazing, all my guests loved it. They aren't the cheapest I'll admit but the quality of work and service was fantastic. Thank you so much for the wonderful twinkling backdrop - it looks amazing, Here is a quick picture of how it looked. Absolutely brilliant service from beginning to end! Very professional, arrived on time and put the lights up with no fuss! The lighting really made the difference to the room. and the logo.... wow.... it comes out in the pictures when we are dancing so great!!!!!!.... it was just amassing... thanks for the present its a great memorandum. Take care and Thank you once more. Excellent service and beautiful lights made my wedding a total dream! Highly recommended. Matt and Kelly were amazing! The venue looked stunning and they were so helpful throughout the planning! Excellent value for money! An excellent service from beginning to end. Very professional throughout. The dance floor looked amazing, our lit up initials were very special and the lighting was perfect. Thanks very much. The dance floor was just perfect for our wedding - superb service - would recommend their services! Very professional and excellent service! Thanks for all your help, patience and reactivity on the day and before hand. 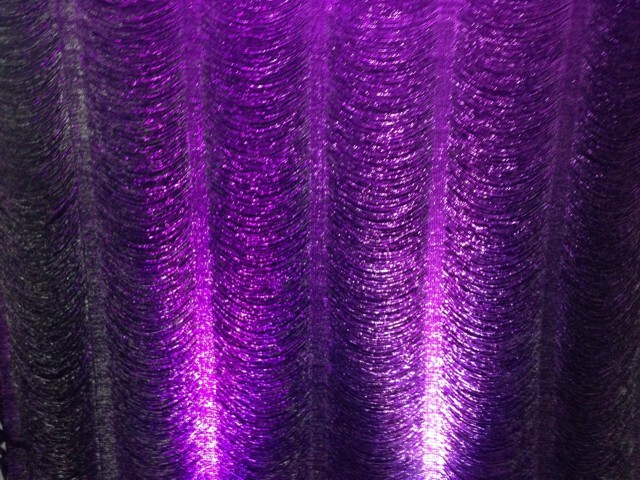 Wedding venue lighting supplied my back drop curtain, sparkling dance floor and purple up lighters for my wedding at healds hall on 5.11.16. The venue looked amazing and the team were in and out without any fuss and got on with the job professionally and discreetly. A big thank you for those excellent finishing touches! My husband and I were extremely impressed with the service from beginning to end. The items we hired on the day looked brilliant and the company worked extremely well with the wedding planner to arrange arrival, set up and pick up. I had nothing to do but turn up! Everything was perfect & on time. Looked stunning all set up, no complainted they did an amazing job just how i wanted everything! The up-lighters helped make our venue look the business. Wedding venue lighting helped light up our special day and I could honestly thank them enough for everything, there lighting went down a storm with our guests, they are an excellent company and I would honestly highly recommend them to anyone. Excellent communication all the way through. The service Wedding Venue Lighting provided us was second to none. Everything was ready when it needed to be and at no point was there ever any stress involved. The lighting itself was superb and added to the fantastic day. I cannot recommend them enough! Excellent so happy with what they provided for us! Room looked fab. The lighting at the venue was lovely and the finishing touches to the outside were very pretty. Would definitely recommend. We knew we wanted a fairy light canopy and Wedding Venue Lighting were by far the cheapest and the customer service was fantastic. Would recommend to anyone, did a brilliant job we had many compliments on the lights. Absolutely amazing LOVE sign which made our venue look amazing! They were there when they said they would be, value for money, great communication throughout and collected he next morning without any hassle at all. We hired the light up dance floor, letters and lots of fairy lights to transform our venue and it looked amazing! Very professional company who provided a first class service setting up lighting to suit our itinerary which made the whole day run smoothly. Thank you! Would definitely recommend. Matt was a really nice chap, did everything himself, did exactly what we asked and more. An excellent service at an excellent price! Great company to deal with customer service is excellent, they made my wedding venue look amazing would defiantly book them again. Excellent service and good value for money. I would definitely recommend this company to friends and family. Matt Butcher is thoroughly professional and made our wedding day extra special with his amazing venue dressing. Everything was just as promised, on time and of excellent quality. Wedding Venue Lighting went the extra mile to fit our backdrops on the weekend of the Tour De France when the roads were closed, they fitted our curtains in the middle of the night so as not to let us down! What service!!!!! Seamlessly everything was perfect! We couldn’t have wished for more! We had the 5ft love letter and they made a massive impact in our wedding venue. Everyone commented on them and asked where we got them from. They were a real focal point in the room and everyone wanted a picture with them. I would recommend them to everyone. The venue looked amazing. The uplighters matched perfectly. The curtain twinkling backdrop looked first class and the dance floor was exactly what I wanted. The team fitted everything without a hitch and they were helpful every step of the way advising and assisting with different ideas. The lighting added the finishing touches to our room and it looked magical. They were easy to contact, friendly and have a great knowledge of the business. Would always recommend them. From start to finish they were excellent made everything easy and didnt have to worry about a thing didnt even see them on the day which was perfect. Matt and the team at venue lighting did an amazing job in helping to make our wedding day amazing. They were easy to deal with and helpful with their advise and it made the whole process really easy. We were delighted with the lighting and the twilight backdrop and it truly made the room look amazing. They also provided our aisle runner at a very reduced price. The total cost was very reasonable and overall we were very happy with the end result!!!! Kelly and Matt were patient and helpful with my enquiries and bookings Everything was delivered early and in perfect condition Matt returned to check everything was in order. He was very friendly and extremely helpful. By far the best vendor we had in every way. All the way through the process of emailing, hiring and installing the lights was amazing! Customer service was lovely and I couldn’t have asked for more! All really lovely to deal with and they really made my wedding reception stand out! Would definitely recommend! 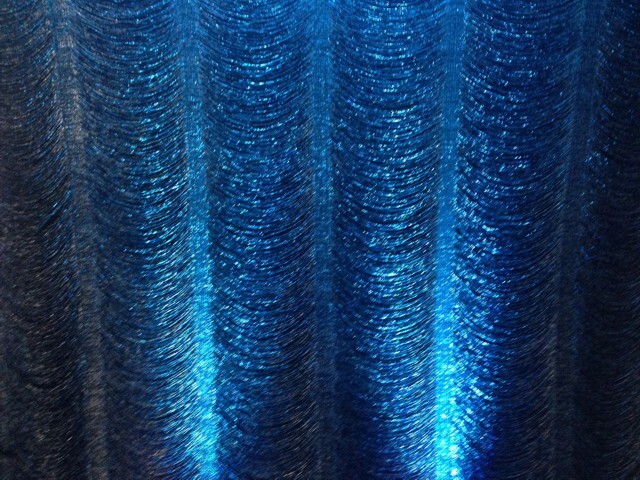 Matt and his team did an amazing job with our wedding venue lighting, starlight back drop and aisle runner. They were all friendly and efficient and very helpful and very reasonably priced. We would recommend them to anyone as we were so impressed!!!! Great service, communication and understanding of our needs!! We just wanted to say a big thank you for the dance floor and lighting you provided on 25th July at Walton Hall. It all looked fantastic and all ran so smoothly. We really appreciate it. Very efficient. We didn't even seen them putting the flooring down and the up-lights looked amazing. It really brought the room together and made it look perfect. So happy with the service. Would def recommend. The venue looked breathtaking, and they were really flexible with me even though I'd bought way to many decorations! I explained what I wanted, and came back later to the picture I'd had in my head! Matt and the whole team were really helpful throughout our wedding planning. Nothing was too hard for them and they gave us tons of ideas and inspiration as well as listening to our ideas. On the day of setting up they were so quick and friendly it really took the stress out of everything! We had a true fairy tale wedding thanks to Matt and his team. The lights were magical and created the perfect atmosphere from day to night. We would have no problem in recommending this service to others. Thank you very much for all your hard work and helping make our day so special. Our venue was a beautiful oak framed building however wedding venue lighting made the room truly magical. Fantastic service from start to finish. Originally booked large letters and then added to our order as we were so impressed at how easy and approachable the team were. Provided really helpful information about the additional item we booked. Nothing was too much trouble and the service was professional throughout. I can't praise this company enough! We were very last minute and only contacted them 5 weeks before the big day. Matt went out of his way to make sure we had everything we needed (despite the lead time). I contacted them 2 days before for a Selfie Mirror and, again, they were brilliant! The team spent the evening with us and really got involved......our family and friends all commented on the room, the decorations and the friendliness of the staff. Highly recommended! we knew we wanted fairy lights as it sets off the already beautiful room so well the lanterns finished off the look and wedding venue lighting were so helpful and quick at booking it all for us, they were confident with the venue and everything was put up and taken away without us even knowing. all our paperwork was posted to us which was great and if I had any questions they responded straight away, thank you for our perfect day everyone loved the decorations!!! Would just like to say a massive thank you to Matt for making our wedding day so special. He was a true gentleman and set up an amazing backdrop that looked magical. We had the best day ever and everyone commented on the curtain, please hire from this company as what they produce will take yor breath away. Thankyou for making our day even more perfect, the room looked amazing everyone loved it. Will be recommending you in the future. Excellent quality and punctual. When I had a query they were always there to answer. Would use in the future. Absolutely outstanding service from Matt at Wedding Venue Lighting. Overcame obstacles on site, to achieve our vision. Very prompt delivery and installation service and was happy to work around other suppliers also dressing the venue. On time the next day to take down the lighting. Matt was recommended by a friend who also used his lighting and I would highly recommend him to anyone dressing their own venue. The quality and colour of light was perfect. Just a quick message to say thank you for supplying us with the back drop. It was beautiful. 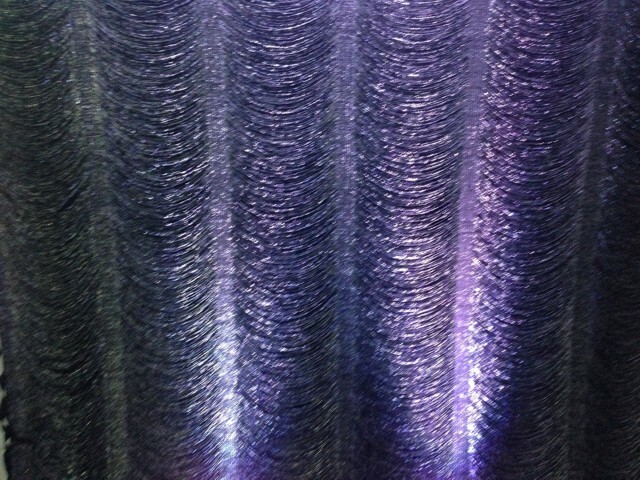 There was no time to move the backlit curtain we had through the day to the dance floor for the night time do, so Wedding Venue Lighting put another one there for us free of charge. Couldn't be happier with the service. The service was absolutely outstanding, great communication, friendly and helpful staff and the product just put that finishing touch the venue needed in place. The owner was also so helpful in arranging other aspects of the day (such as chairs for the venue) which I had been struggling to find a supplier for. Wedding Venue Lighting offer the bride & groom a unique range of fabulous wedding venue dressing items; which allows the bride & groom to put a personal touch to their wedding. It also makes it fun & different for guests, gives photographers props & gives wonderful everlasting pictures & memories. The best part of the lighting was the dance floor. We were given the choice of black or white and we chose black which made the floor stand out more. The string lighting outside was perfect, although with it being a winter wedding, not many people went outside, only the smokers, and there weren't many! Over the three years of planning. I spoke to Wedding Venue Lighting several times changing my mind about what I wanted and creating different packages from their comprehensive website. Eventually (due to my changes) thy were able to make a package that suited both the venue and my budget. They were also able to do a package deal to incorporate extra items. Matt and the team at wedding venue lighting were fantastic with us. The quality of the lighting was amazing and the venue looked great as a result. The set up was quick and efficient the day before our wedding; allowing us to decorate our venue without disruption. We were also given additional lighting options on the day which we accepted as they looked fantastic! Many thanks to wedding venue lighting! Matt of wedding venue lighting is fantastic and the dancefloor and lighting provided for my wedding was superb. I just wanted to drop you an email to express my thanks to your company, and for the efficient way you deal with your orders, and the actual supplying. It was all 'stress free' ......and the final result was lovely too! I just wanted to leave a testimonial and say thank you for the service we received from your business for our wedding party at Sandburn Hall on 24/03/2016. The service was great from start to finish. Matt responded straight away to all my emails and provided us with a signed contract, everything was very professional. Matt contacted our venue prior to our event and all of the lights were in place before we got there. The looked amazing and set the room off perfectly. Many of our guests commented on the lights and will be using them for their wedding parties. Excellent service and friendly people, would recommend this company! It was great service from initial enquiry to the provision of the dance floor and lighting. Kept in touch throughout and coordinated with venue for installation, stress free for us and the dance floor and lighting were fantastic. We used WVL for our wedding day at Denton Hall in Ilkley, Yorkshire in September 2016. They provided an excellent service both in quality of dance floor and uplighters provided along with the delivery and installation service, delivered ontime and installed in good time to suprise all our guests following the wedding breakfast. They were exactly what we had wished for making our evening function absolutely perfect. A great service with great products, I would certainly recommend them to any future function or event. Thanks WVL, you certainly played your part in making our wedding fantastic. 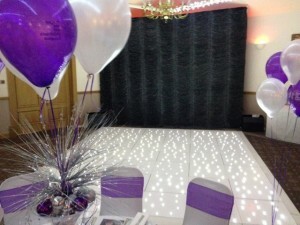 We were really pleased with the star cloth you supplied for our wedding it actually made a huge difference to the room, and an extremely professional service. We will be defiantly recommending you to all our friends. Once again a huge thanks to you for all your hard work on Saturday. The lighting was amazing and everyone said how great the room looked. The speed of communication was fantastic, the professional manner was superb and the quality of the work was praised by many of our guests! 10/10!!!! Amazing team that were prepared to go above and beyond when it came to the small details of our wedding! 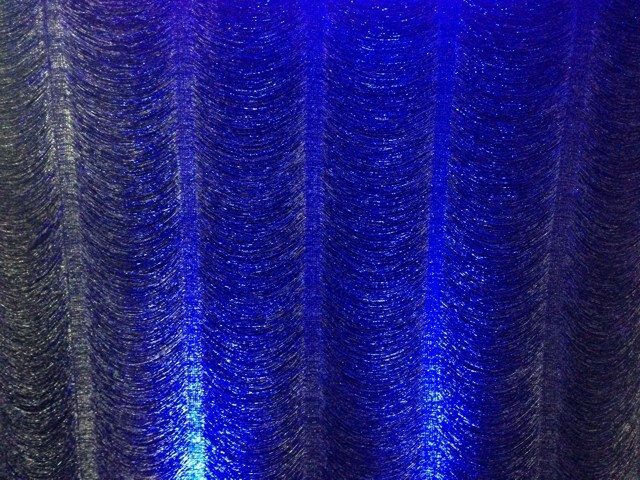 The quality of the starlight backdrop was amazing and so many of our guests commented how special it made the venue feel. The speed of communication was fantastic the professional manner was superb and the quality of work was praised by many of our guests at Hazelwood Castle! They made my wedding truly amazing and made the room look breathtakingly beautiful! Really friendly helpful service and the lights made our venue magical. Totally recommend. 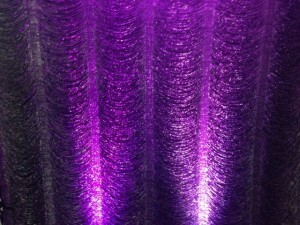 Wedding crystal backdrop hire can totally transform your wedding venue by hiding unsightly walls and changing the appearance of your top table. It can also create the perfect backdrop feature photographs. 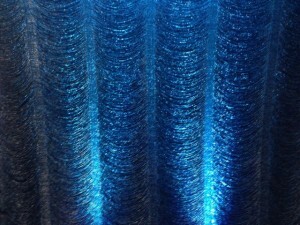 Our crystal backdrop hire gives a high quality crystal effect. With add our colour wash up lighters we are able to give the backdrop a wash of colour to your chosen colour scheme. we can join as many sections as needed to suit all venues, and marquees. 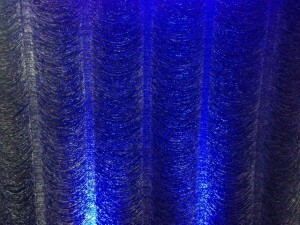 Our free-standing Crystal backdrop Hire can hide any unsightly walls giving you a perfect background feature. As well as travelling into Blackpool, Preston, Cheshire, Liverpool, Derbyshire, Leicester, Birmingham, Newcastle, Cumbria, North Wales, Merseyside and North West Included. All our décor lighting & dance floor equipment is installed by our highly trained engineers. We can supply, deliver and fit throughout Scotland, England, & Wales.